JOIN THE MILLIONS ALREADY PLAYING POGO GAMES! 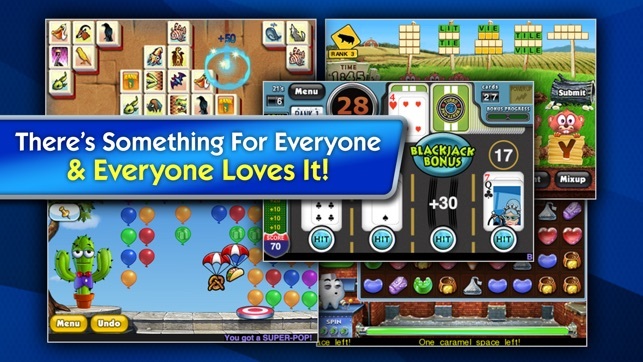 Enjoy puzzle, word, and card games like Poppit!™, Word Whomp™, Turbo21™, Mahjong Safari, Sweet Tooth 2™, and Phlinx. 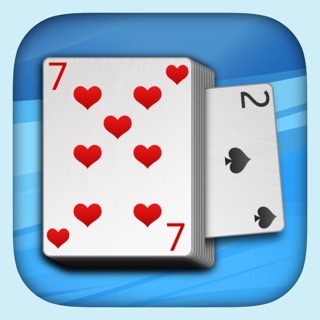 Premium Players and Club Pogo Members can also unlock a NEW BONUS game – World Class Solitaire. Your Pogo Profile is the same on Pogo.com, and iPhone, iPad, and iPod touch. 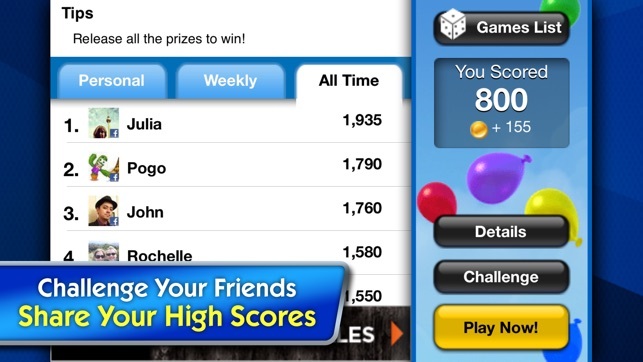 Challenge your Facebook friends to match your personal bests and see how you stack up against them on the leaderboards. See your token totals grow and Ranks soar as you play. Premium Members can also take on WEEKLY BADGE CHALLENGES and collect them all! For hours of casual fun on your iPhone, iPad, and iPod touch, enjoy these 6 great Pogo Games. • MAHJONG SAFARI – Experience this timeless classic with a WILD new spin! • PHLINX – The mystery of the Phlinx is beckoning you. Reveal the darkest secrets of the Pharaoh and the Sphinx as you uncover the captured hieroglyphs in each match 3 puzzle. 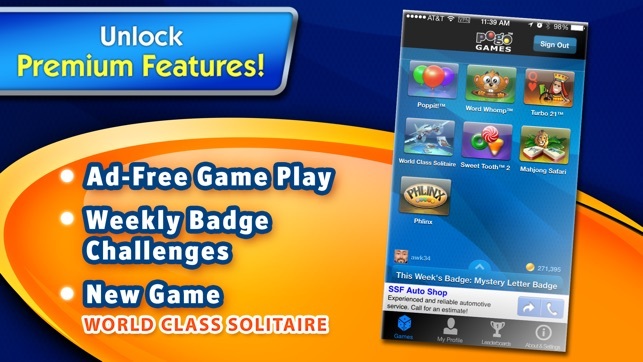 Premium Players and Club Pogo Members can also unlock the BONUS game – World Class Solitaire. You get more than just a soft drink and a bag of nuts with this travel inspired Solitaire. It’s perfect for mobile play! 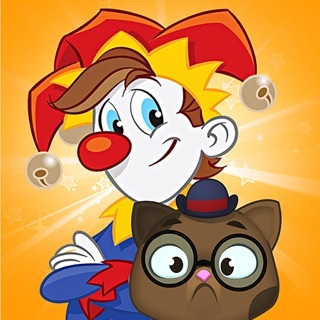 Your Club Pogo membership gives you 100% Ad-Free gameplay, access to premium games like World Class Solitaire and exclusive Weekly Badge Challenges, just like on Pogo.com and Facebook! Hello Pogo players! We unfortunately had to remove the Facebook Connect feature as well as the leaderboard systems. We have also made some behind-the-scenes improvements to make your overall experience more enjoyable. Thanks again for playing, and please rate us. I've been playing POGO now for 5+ years and in all that time there have not been any additiins or changes. I am at the end of World Class Solitaire and the only way to keep playing is to uninstall and re-install so I can at keast play once again for a while. There are many games in Club POGO that could be added to this mobile site and games can also be updated to include more levels. I am disappointed that nothing like this has ever been done in all these years. My original review was happy now. However, it is now disappointed. Finally! 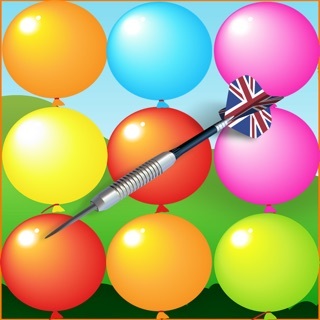 We were so disappointed when we found Club POGO couldn't be used on iPhone... Now there is finally an app. We have been club POGO members for 7 yrs and it was the only games ever played for soooo long. Missed it terribly on my iPhone. Now, very excited and happy. Looking forward to more of our favorite games. Aces Up, Tri-Peaks, Jigsaw Detective, Addiction Solitaire and so many more. Great start. Well done & nicely adapted. Shows thought, dedication, time and effort was put into this app. Will rate five when more games added. I loooove Pogo and have been a member for many years. When I got an iPhone, I was happy to find the app so I could play on the go. A few of the seven available games I just don’t like and never play, but that’s my personal choice, not a problem with the app. But when I got a new iPhone 8 Plus, Turbo doesn’t play correctly anymore. The regular game works fine, but the bonus round where you have to find groups of 21 does not load correctly - the frames are off so you can’t see the cards. Since this game is a frequent Weekly Challenge game, this is very frustrating. Since your last update was 6 months ago, maybe more frequent updates to fix bugs - and hopefully add more games - would be great. If things are taken care of, I’ll definitely be changing my rating to 5. Been a Pogo’r for over a decade and love Club Pogo. 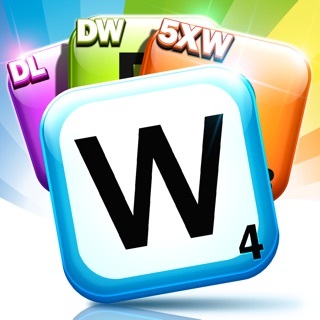 Very few games for the app (Poppit, Word Whomp, Turbo 21, World Class Solitaire, Sweet Tooth 2, Mahjong Safari, Phlinx). On the app, I play WC Solitaire all the time, but it frequently hangs/crashes. Normally there’s no problem on the first few hands, but the final hand of the game hangs upon completion or crashes altogether. Hangs - upon completion of the hand & game, it gets to the point of displaying the passport then hangs. No Result from tapping anything, including the menu icon. You have to double click, close the app from “background”, & reopen the app. Crashes - same point as hangs, except the app crashes clearing the screen. Again, you have to double click, close the app from “background”, & reopen the app. 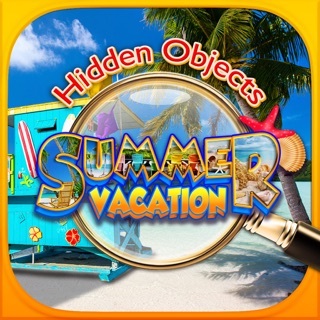 Other than these items, the app is marvelous, functionality and graphics are awesome (though I would like to play Jungle Gin, Canasta, and Monopoly).